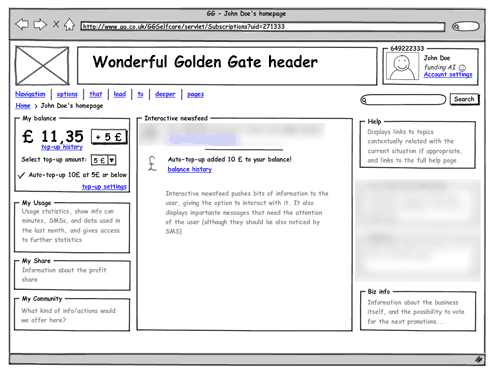 Innovative O2’s MVNO Giffgaff (the mobile network run by you) had to be translated from a great idea into a full-fledged service quickly, and the Information Architecture of its website was essential in achieving long-term success. There was a secret project around Telefónica I+D Barcelona’s office. A room was permanently locked; glass walls obscured with paper, and meetings where few people were allowed were taking place. The latest project from O2 was going to be developed by Telefónica I+D (R&D). It was a MVNO (mobile virtual network operator) which was going to operate on O2’s network, but there was something more than technology. It was going to be run by you. 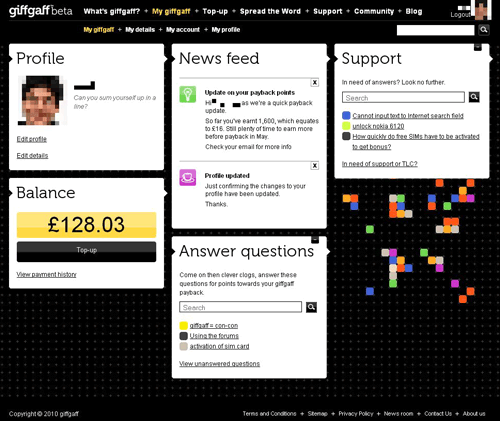 Giffgaff means mutual giving in Scottish English, and that was Giffgaff’s basis: by letting users help with support and some other operations, we could take costs down, allowing us to go with competitive rates. And if you help a lot, you will get a lot back with “payback”: twice a year Giffgaff shares its benefits with its customers, and those who help the most get the bigger share. To become a reality, Giffgaff needed to go from being a great idea to a great service, and a simple and easy to use website was part of the plan. Giffgaff has been my toughest and greatest project until today. 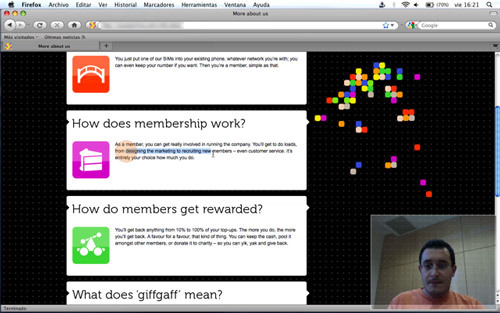 When I was invited to take part in the “secret project” as Information Architect, it was just a Powerpoint outlining some principles (backed by marketing research), and a great promo video showing what Giffgaff could become. When I left the project six months later, everything was ready to fly. It was hard, and it was worth it. 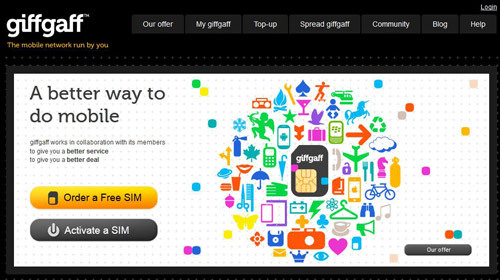 Reviewed all the information that had been generated about Giffgaff. 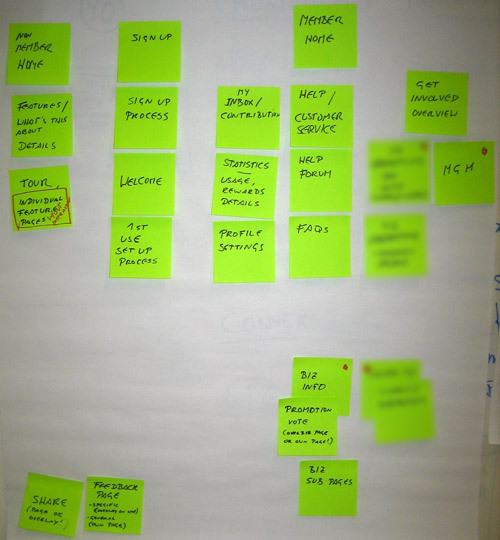 Took part in brainstorming (led by Lars Stalling, ex-IDEO) to identify key issues to be addressed by Giffgaff’s website. 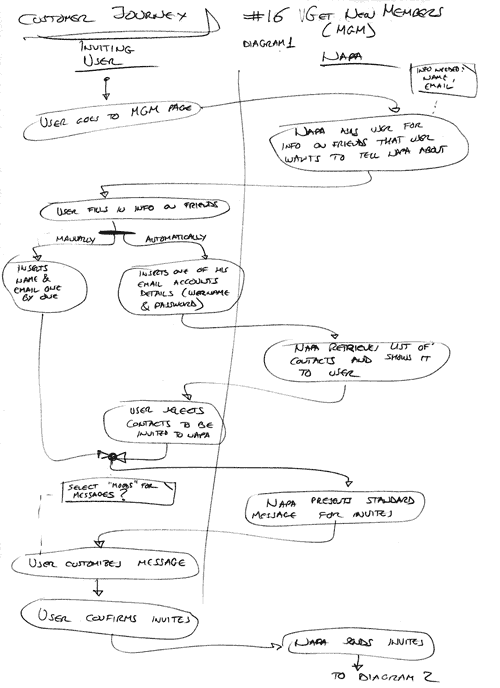 Analysed research and brainstorming to create first drafts for sitemap, flows and wireframes for key pages. These were critical in getting final approval from Telefónica for the Giffgaff project. 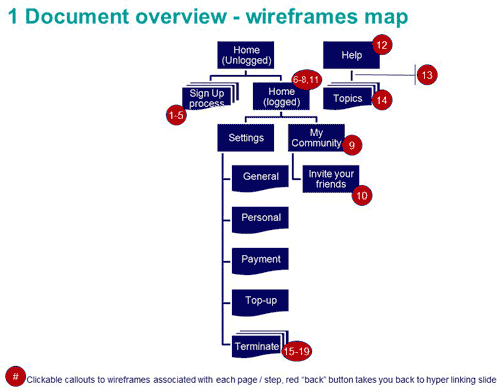 First version of Giffgaff’s sitemap, part of the high level website overview document that got the final “green light”. I created a clickable powerpoint presentation to simulate limited interactivity. Sent to UK to become Information Architect at Giffgaff, working at Albion London’s (brand agency for Giffgaff) premises. 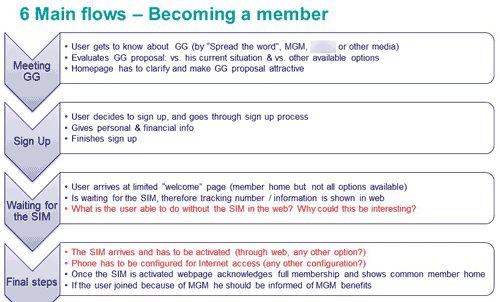 Reviewed and studied “Documented member experience” document, the “bible” for Giffgaff project created by top stakeholders. Extracted and applied its main principles, challenged a few others, and accepted grudgingly some, contributing to this document. Conducted competitive research on mobile operators and MVNOs. 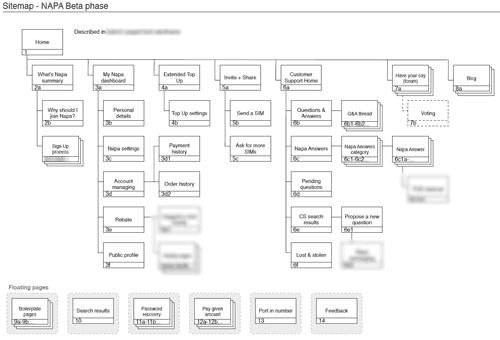 Created customer journeys to illustrate key customer flows through Giffgaff’s website. 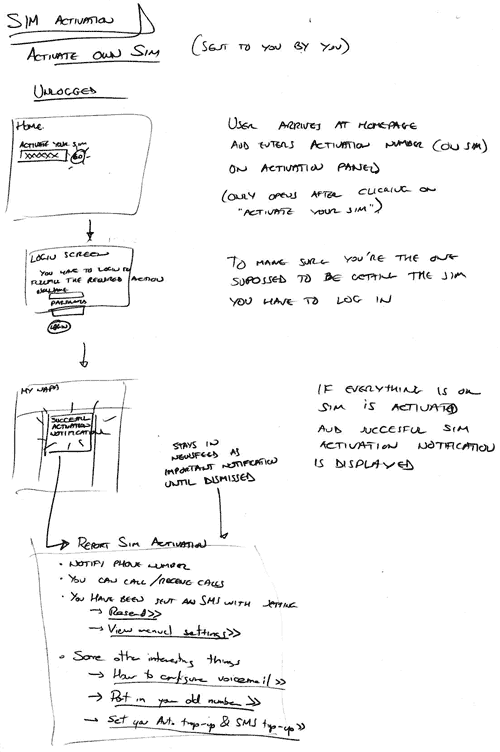 Went through LOTS of sketching for Giffgaff’s pages, widgets and flows. 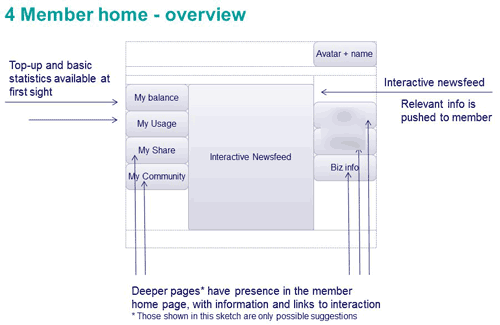 Several approaches were considered for each page and functionality. 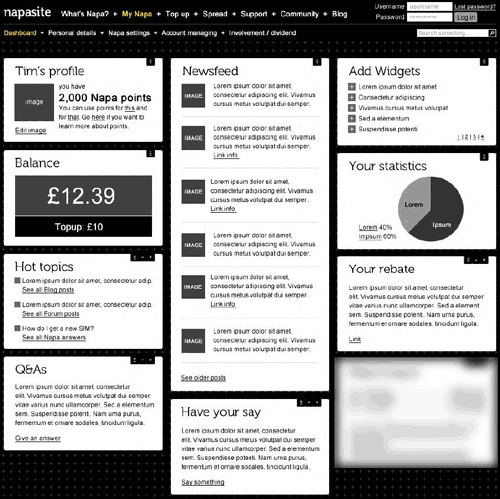 The newsfeed area in My Giffgaff would push relevant information to the customer. 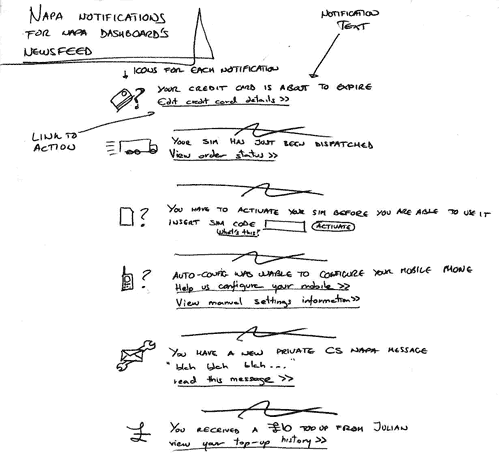 Several different kinds of notifications were considered. Sometimes a minor functionality can be tricky and require extra detail to reassure communication. Typing your address in a form is a cumbersome process, and there are several ways to ease this up. 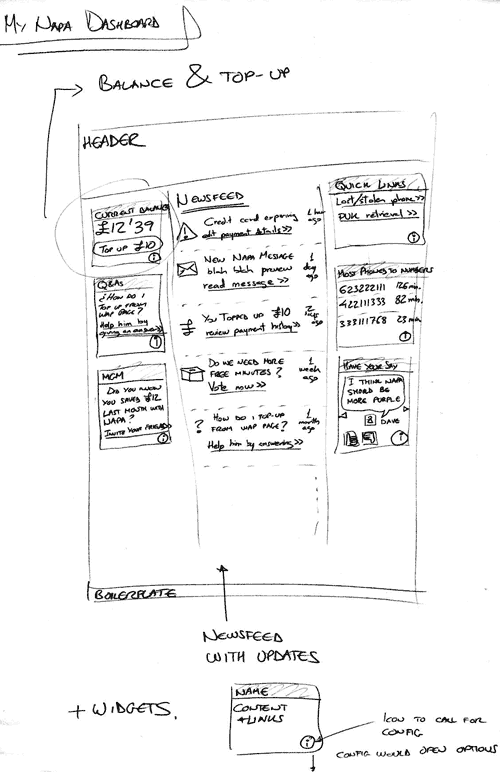 Conducted paper prototyping (with Isabel Conde‘s support) to evaluate different approaches. 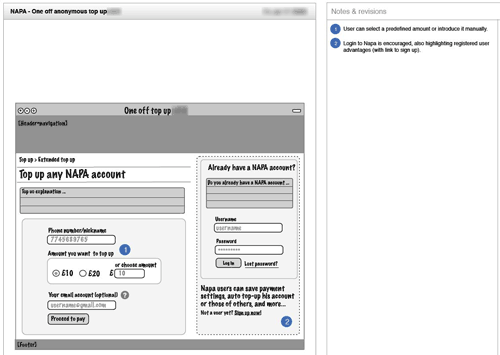 Created wireframes and sitemap for Giffgaff. They had to be approved by top stakeholders committee and went through several revisions. 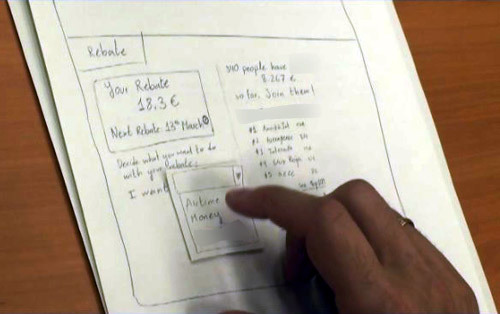 Sketches were turned into prototypes and then presented to the Giffgaff committee for approval. Key pages went through several revisions to get the final approval. 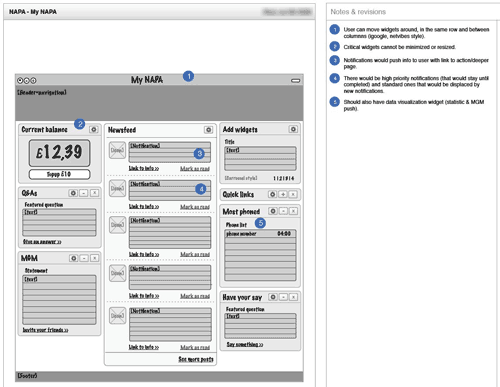 Conducted usability tests on Giffgaff’s first prototypes. Experience in the UK market, particularly working within a brand agency, acting as “bridge” with O2 and Telefónica I+D. 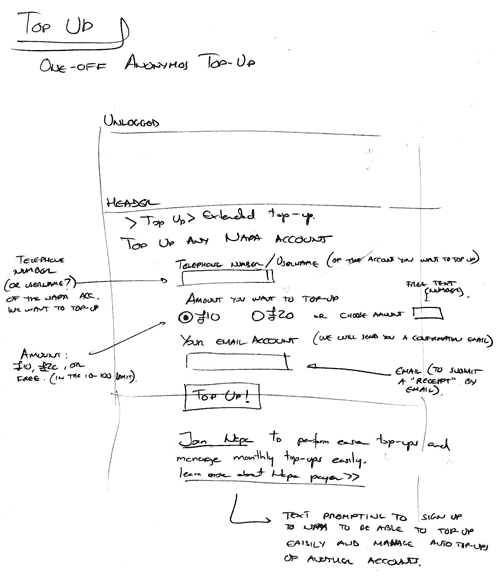 Turned documents into a full-fledged working website defined by sitemap, wireframes and flows. Became part of a successful and innovative product, helping shape it. It was also finalist for the Marketing Society’s Brand of the Year.